Arky is a first year graduate student in Chemistry department. She finished her B.S. in Chemistry at University of California, Berkeley. 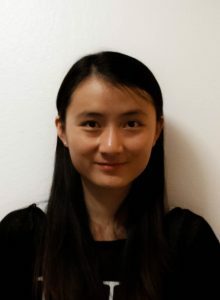 At Berkeley, she worked in Prof. Peidong Yang’s group on nanowire for transparent electrodes. Before that, she also did research on organic photovoltaics in Prof. He Yan’s group at HongKong University of Science and Technology, and in Prof. Gui Bazan’s group at University of California, Santa Barbara.